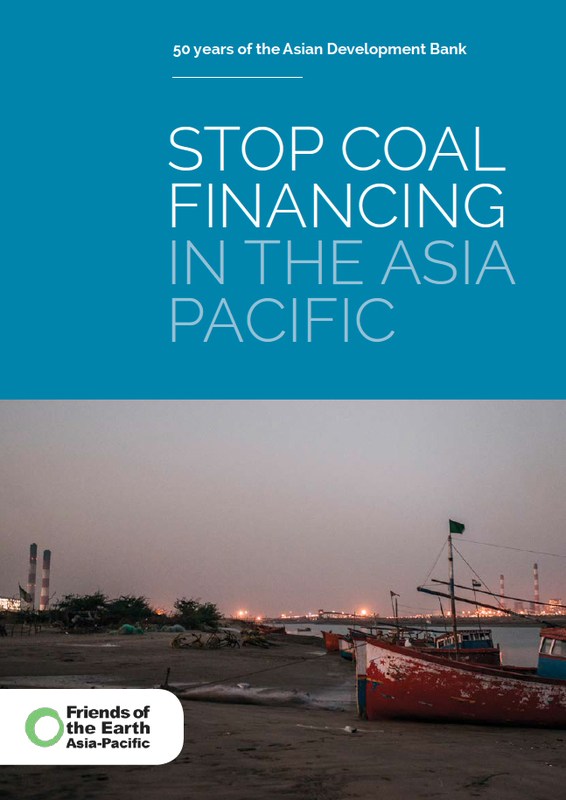 The Stop Coal Financing Report calls on the Asian Development Bank to cease all support for new coal projects, and to hasten the transition to sustainable renewable energy across Asia. Climate change poses extreme risks to the Asia Pacific region that will endanger the lives and livelihoods of low income people and people living in poverty. The Asian Development Bank purports to recognize this. Their own policy documents explicitly outline the devastating impact climate change will have on Asian peoples. The Asian Development Bank presents that economic growth is not sustainable unless it is environmentally sustainable, and that environmental degradation and climate change present fundamental challenges to their vision of eliminating poverty in the Asia Pacific by 2020. Yet for 50 years the Asian Development bank has been financing coal projects. It’s operations around the world have left a trail of destruction; people displaced and negative impacts on farming lands, rivers, forests and the climate. Action to curb greenhouse gas emissions by replacing dirty energy with renewable alternatives has never been more important for the safety of people in the Asia Pacific region. Friends of the Earth Asia Pacific therefore calls for the Asian Development Bank to cease all support for new coal projects, and to hasten the transition to sustainable renewable energy across Asia. We also believe the ADB must use its influence to lobby other multilateral lending institutions to do the same. The time to stop funding coal is now.